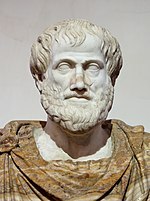 ^ Aristotle (2001). "Posterior Analytics". In Mckeon, Richard. 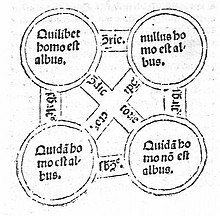 The Basic Works. Modern Library. ISBN 978-0-375-75799-0. ^ Hofweber, T. (2004). "Logic and Ontology". In Zalta, Edward N. Stanford Encyclopedia of Philosophy. ^ Rescher, Nicholas (2009). Jacquette, Dale, ed. Reason, Method, and Value: A Reader on the Philosophy of Nicholas Rescher. Ontos Verlag. ISBN 978-3-11-032905-6. ^ Hájek, Petr (2006). "Fuzzy Logic". In Zalta, Edward N. Stanford Encyclopedia of Philosophy. ^ Priest, Graham (2008). "Dialetheism". In Zalta, Edward N. Stanford Encyclopedia of Philosophy. ^ Georg Lukács. "The Destruction of Reason by Georg Lukács 1952". Marxists.org. Retrieved 2013-06-16.